Pick and play the strongest heroes using our HotS Tier List. This heroes of the storm tier list is always kept up to date every patch. You can get a better idea of what the heroes of the storm characters are winning in hero league. also check out what high ranking players are using to win there games in Hero League. Made exclusively by high ranking hots players who rank up in hots professionally, learn what heroes to pick in Heroes of the storm to increase your overall win rate. Gain the competitive advantage by playing the best heroes with the highest win rates in HotS. In this HotS Tier List we look the Best HotS Heroes, based on there overall performance in this latest hots patch. If you’ve ever been in doubt about what hero to play, rest assured this hots guide will Increase your win rate in hero league. You’ll only be able to rank up fast by playing the best heroes in the game, Ranking up is worth the time since players who play ranked earn HotS Season Rewards at the end of the Season. This has been a winning strategy in every major moba game. In regards to the heroes of the storm tier list, playing the strongest heroes will make ranking up faster and easier. Lowest tier available in this HotS Tier List. Most of these hero picks are hard to use or require lots of experience to be use correctly. It is better to avoid these Heroes in ranked, till the receive a buff from Blizzard. Average HotS Tier List Heroes, not on the same level as the higher tier Hero Picks. These Heroes are strong in there own right, however not as strong as Tier 1 or God Tier. These are good hero picks in the current HotS Patch. These are preferred Hero Picks if any God Tier heroes are unavailable. The Best Hero Picks within this HotS Tier List. These Heroes are absolutely dominating in the latest Heroes of the Storm patch. If your goal is to rank up in hots, Then you are at the right place. Achieve Rank 1 in Hero League two different ways. Duo Queue with Pro Players using our HotS Rank Boost or if you need Placement Matches completed you can use our Placements Boost. We can guarantee you’ll hit the ranking you want in HotS Hero League. The second method is using our HotS Tier List, this option is for players who want to try and rank up on there own. We’ve learned that you can win more ranked games by playing higher win rate heroes. That’s why it’s important to always know the best and most godly heroes to play. 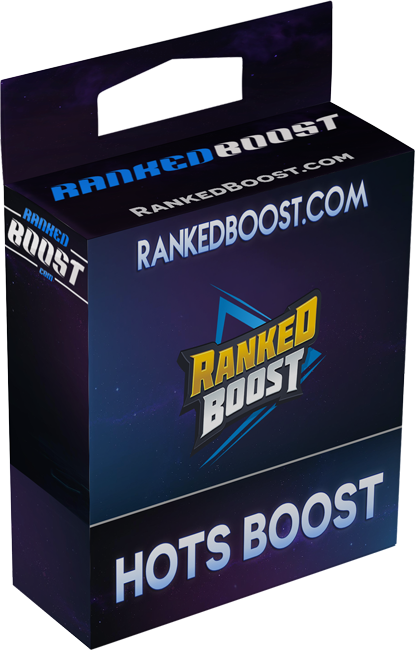 Ranking up in HoTS Hero League is pretty hard, if you just need that extra boost you should try using our HotS Rank Boost. We hope you enjoyed this hero league tier list, have a great day and great game! Heroes of the Storm Tier List updated every HoTS Patch, provided to you by Ranked Boost. Always stay on top of the latest heroes dominating hero league with this hots tier list.